A bathroom is one of the most important areas in a home — particularly if the house Is for sale. 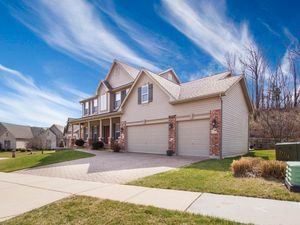 This is an area of the house where individuals will visit every day and buyers are looking for space that is designed well, functional, and spacious. 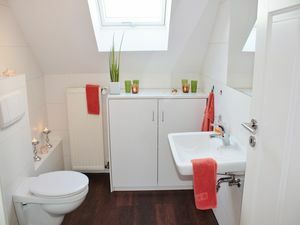 But, how do you create this desired space if the bathroom is small and cramped? Here are just a few tips to help you create the ultimate small bathroom. In a small bathroom, the vanity is a main element. You want to choose it wisely so it doesn’t take up too much space but still provides an appealing design. In these smaller rooms, consider pedestal sinks or corner vanities. In tight spaces, rounded vanities are also ideal as it provides a unique design element but also offers a little extra room as well. Hanging mirrors in a room is a simple way to make an area appear larger than it truly is. In the bathroom, hang a fun and decorative mirror on the wall. This will give the illusion that the room is larger and it can become a focal point. However, don’t hang a mirror that is too large and overtakes an entire wall. This will provide the opposite look that you desire. Towel racks are convenient but they can consume an entire wall in a small bathroom. Rather than choose long towel racks for these spaces, consider hooks along the walls or even behind the bathroom doors. These still create a tidy and clean look but can save you space. While dark and bold paint colors are making a comeback, they may not be the best option for a small space. These bold colors can make individuals feel overwhelmed as they walk into a room — a feeling you don’t want potential buyers to experience. Instead, choose lighter and more neutral paint colors for these areas. Think of colors like tans, blues, grays, yellows, etc. If you really want to add bold colors, implement those colors with your towels, rugs, etc. Don’t add too many décor items in this space. If the bathroom is too small, these items will just make the room appear cluttered. Keep sinks clear and free from items like toothbrushes, hair brushes, etc. Only keep handwashing necessities on the sink. Keep the bathroom well-lit. A bright room will attract buyers. 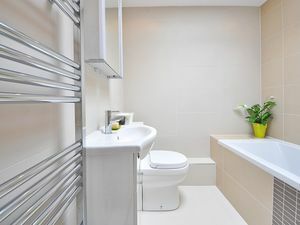 Once your bathroom — and the rest of your home — is ready for buyers, contact experienced real estate agent Christine Smith in Collingwood today. She can help you have a terrific experience selling your home.